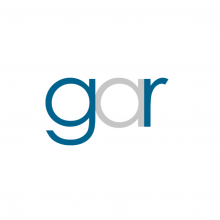 Global Arbitration Review (GAR) unveiled its list of the top 30 arbitration firms worldwide at its ninth annual GAR Awards Ceremony which was held in Shanghai. We are delighted that LALIVE moved up two places to 10th place, confirming its place among the leading arbitration practices worldwide. LALIVE remains the only firm from a civil-law jurisdiction to have featured in every single edition of the GAR 30 since its inception. The improvement in our ranking was due in part to the number of cases handled and the amount in dispute in those cases, to 10 of the firm’s lawyers maintaining their ranking in Who’s Who Legal among the leading arbitration practitioners worldwide, more than some of the US and UK firms ranked above us in the GAR30 ranking, and also the large number of arbitrator mandates handled by members of the firm (87, more than any other firm in the table). Confirming LALIVE as a global player, GAR noted the significant volume of the firm’s casework which has no connection to Switzerland, in line with other global firms in the GAR30. To determine this ranking, GAR analysed submissions from 200 firms and took into account a range of criteria including the number of arbitral hearings conducted over a two year period and amount of money in dispute, the number of hours billed to arbitration, the number of arbitral appointments handled, the number of lawyers qualified for inclusion in Who’s Who Legal: Arbitration, and peer feedback. This ranking is an excellent achievement for our firm, consolidating our high international profile among the larger law firms.